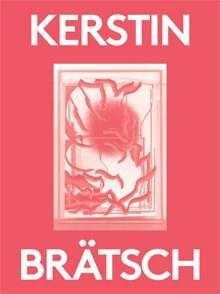 Kerstin Brätsch’s work trades in the market of pure information. By way of painting, drawing, performance, sculpture, and design, she depicts the mutation of images over time, reflecting the volatility of data transmission and consumption in the contemporary digital moment. Her paintings deploy the visual vocabulary and history of abstraction to debunk the assumed spirituality, legacy, and strength of modernism. Often producing artwork under various pseudonyms and fictional corporations, Brätsch considers how the overlap between means of production and means of communication may alter our interpretations of images. This latest volume from the “2000 Words” series, conceived by Massimiliano Gioni and published by the DESTE Foundation for Contemporary Art, includes an essay by Gioni that examines Brätsch’s profound engagements with the contemporary social lives of images.